The Dallas Fort Worth Whip Enthusiasts Group’s “Whip Weekend 10” is fast approaching. 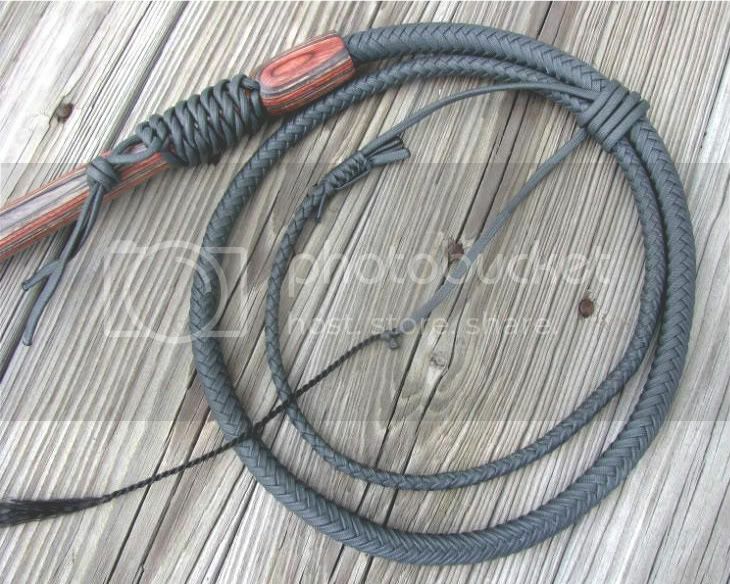 This year I am happy to announce that I have made a whip to donate to the DFW group in order to help support the event. The whip I am sending is a unique cow whip that features an Aussie style fall hitch instead of the traditional tapering twist -the only cow whip I’ve ever made with this design. The handle is 16 inch and made from durable, yet light weight Stratabond, a colorful hardwood laminate. The thong is 4.5 ft in charcoal gray; the handle colors are rust and black. 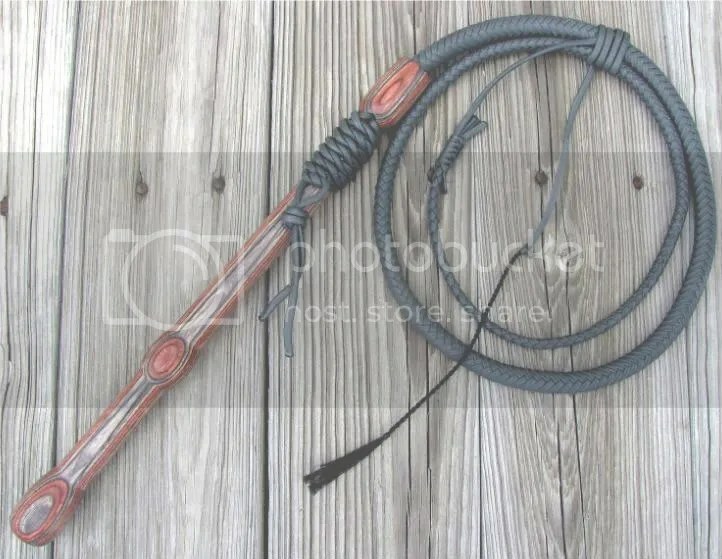 If you can attend “WWX,” you might get a chance at becoming the owner of this one-of-a-kind whip . This entry was posted on Saturday, August 29th, 2009 at 11:11 pm	and posted in Cow Whips. You can follow any responses to this entry through the RSS 2.0 feed.